Pepper, Kirk's house bunny also attended the meeting. She is a beautiful, black lop-eared bunny. Kirk says he's going to "put her to answering the phone" at Designage. 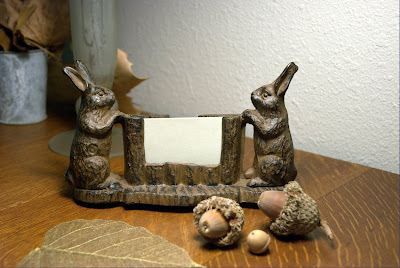 Photo above: Bunny business card holder from Adkins Antiques, Houston, Texas. It can also be ordered online from The Busy Bunny.